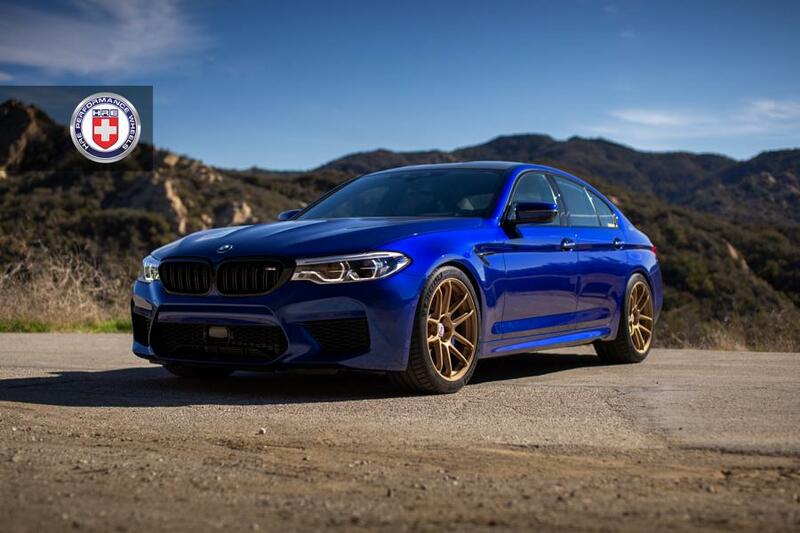 Photos of this lightly modded BMW M5 (F90) wearing a rare San Marino Blue paintjob have recently surfaced on several websites dedicated to car tuning. Let us give it some deserved attention. The car flaunts a set of HRE Performance RC104 21” forged rims with a Satin Gold surface that creates a compelling contrast against the blue vehicle. To make everything work even better together, the tuner lowered the suspension somewhat and added a small trunk-mounted spoiler lip. Overall, we quite like the outcome, although some of us wouldn’t mind seeing those 21-inch rollers replaced by their larger 22-inch counterparts.